When renters, tenants or lodgers are searching for an apartment, condo, hotel, etc., one of the first things they'll look at is the bathrooms. If they notice that any of the bathrooms are unpleasant looking, they're likely to look elsewhere. If you're interested in giving your commercial bathrooms an upgrading, then you've come to the right place! 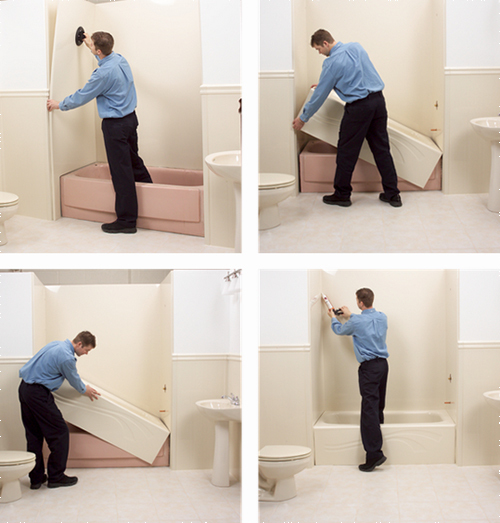 Our highly trained team at Creative Bath Systems can upgrade your commercial bathroom by installing brand new commercial bathtub liners and wall surrounds. Our acrylic bathtub liners and wall surrounds will give your bathroom a brand new, up-to-date look! If you're interested in a FULL bathroom remodel, we've also got you covered there too! Whether you are looking to upgrade a few areas in your bathroom, if you'd like a full bathroom remodel, Creative Bath Systems has you covered! Creative Bath Systems Has Over 7 Years Of BBB Accreditation! It was on August 15, 2008 when the Better Business Bureau business determined that Creative Bath Systems met and or exceeded all of the Better Business Bureau Accreditation Standards, which include a commitment to making a good faith effort to resolve any and all consumer complaints. Having said that, we have over seven continuous years of BBB accreditation! Since August 15, 2008, the Creative Bath Systems team has maintained the Better Business Bureau Accreditation and will proceed to do so! 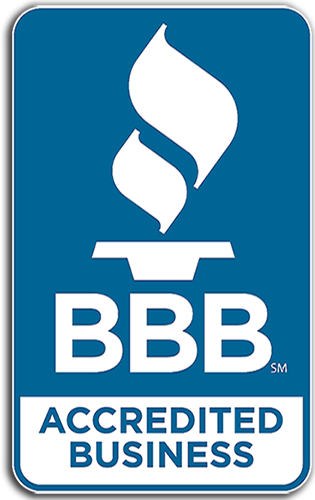 Over the last seven years, Creative Bath Systems has earned the status of a "Better Business Bureau Accredited Business with A+ Ratings!!" Go with a business that has a Better Business Bureau Accreditation, go with Creative Bath Systems! Give us a call today! At Creative Bath Systems, our utilization of stainless steel polished to satin finish partitions renders the very best in toilet partitions. 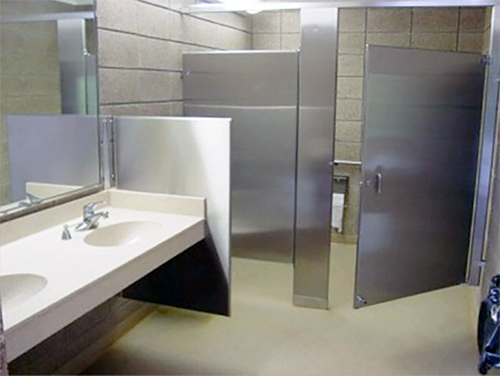 Our stainless steel bathroom partitions are preserved in both the manufacturing and the shipping process by P.V.C. film which is removed after the partition is correctly installed. If your stainless steel finish ever becomes scratched, you can quickly restore the original beauty by simply buffing the scratches out. You'll find that each of our stainless steel bathroom partitions are corrosion resistant and remarkably durable. You can purchase our stainless steel partitions with a deep textured surface or powder coated. For more information about our stainless steel partitions, give us a call today! 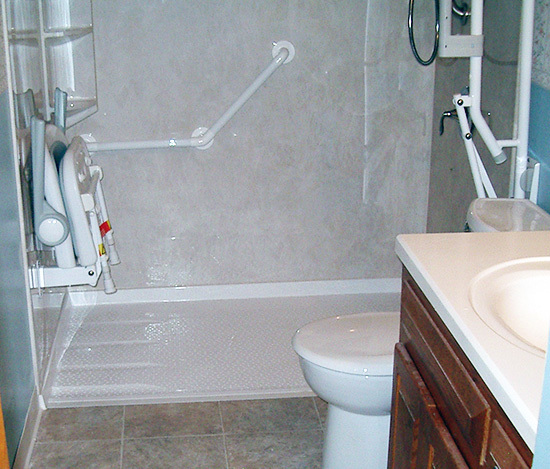 The highly trained Creative Bath Systems team can custom design and build outdoor wheelchair ramps that'll meet and/or exceed all of your expectations. Each and every one of our customized wheelchair ramps is crafted from pressure treated wood which provides exceptional structural integrity and increased stability which means that our customers can rest assured knowing their new wheelchair ramp is safe and secure for ALL those who use it. 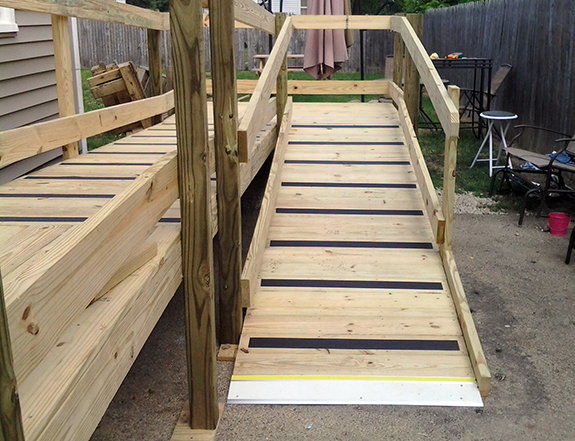 Our customers can also rest assured knowing that their new wheelchair ramp will be professionally constructed to meet and/or exceed today's ridge ADA requirements.